JTYH: Knife Cut Noodles, Chili Peppers. JTYH has been one of the foodbloggers' favorite in the past year. A descendant of the much-loved-but-now-defunct Heavy Noodling (I never did make it there), JTYH was first raved about by Sinosoul, and one by one bloggers made their way there. Especially after J. Gold did, too. I came here first with Sinosoul and crew, and then that same week with LA & OC Foodie so I can pick up the crap I left in his car before my travel mug gets moldy. But with everyone else writing it up at the time, I got lazy about it. It's probably time now. That, and, you know, the photos are already uploaded and all. 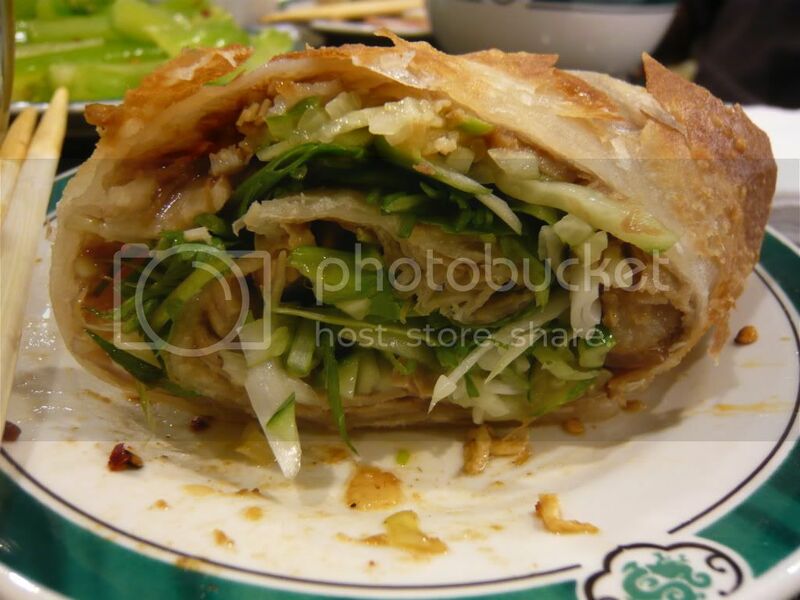 The main attraction at JTYH is the Shanxi dao xiao mian (knife cut noodles). Shaved fresh off a ball of dough with a sharp knife, because I don't think you even can buy it dried. and btw, is that a cute logo or what? 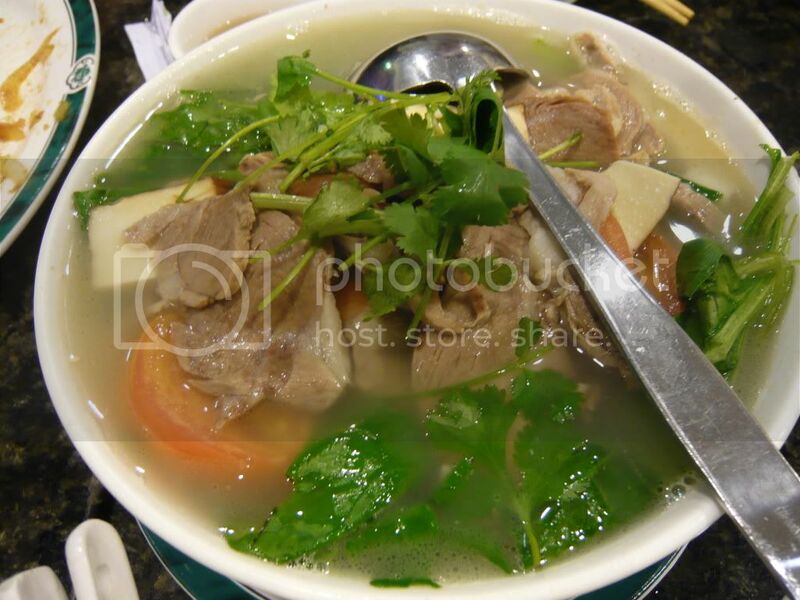 JTYH has a selection of noodle soups, including the spare rib soup (above, $5.95 for a large), or the beef stew noodles below (same price), involving beef briskets. 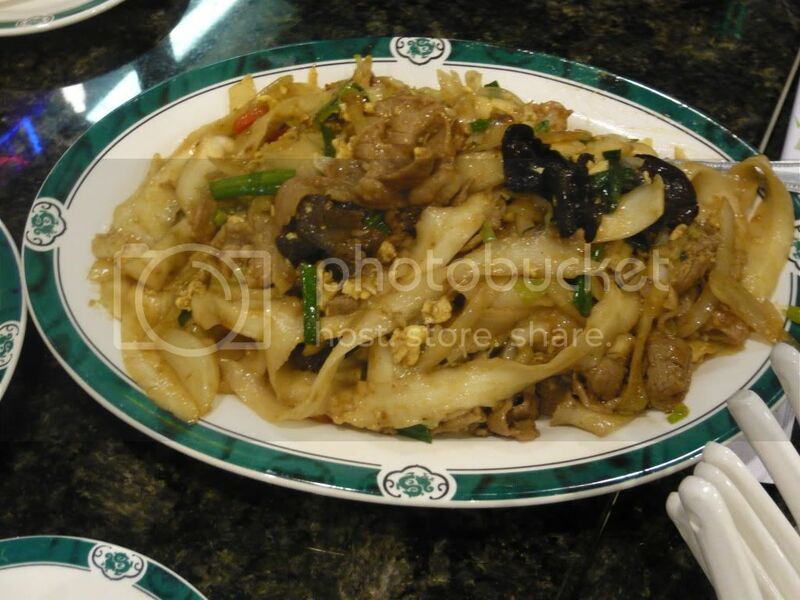 But for me, the best thing to get is the stir fried noodles in shacha sauce ($6.25). Usually this comes with beef and they have a different stir fry noodles with lamb. On my visit with Sinosoul, we somehow got fried noodles with lamb in shacha sauce. Stir fried, the noodles had a chewier consistency and it is also a much more flavor forward dish than noodle soups. The cat-ear-shaped "noodles" are thicker and even chewier. 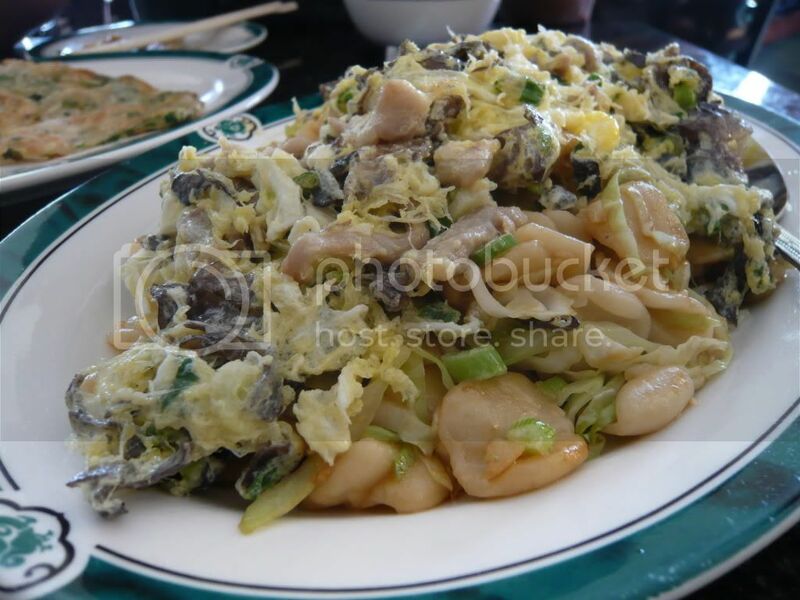 It's reminiscent of orecchiette and was perfect tossed with scrambled eggs, wood ear mushrooms, and pork. It's great any time of the day but was perfect for our br/unch outing. 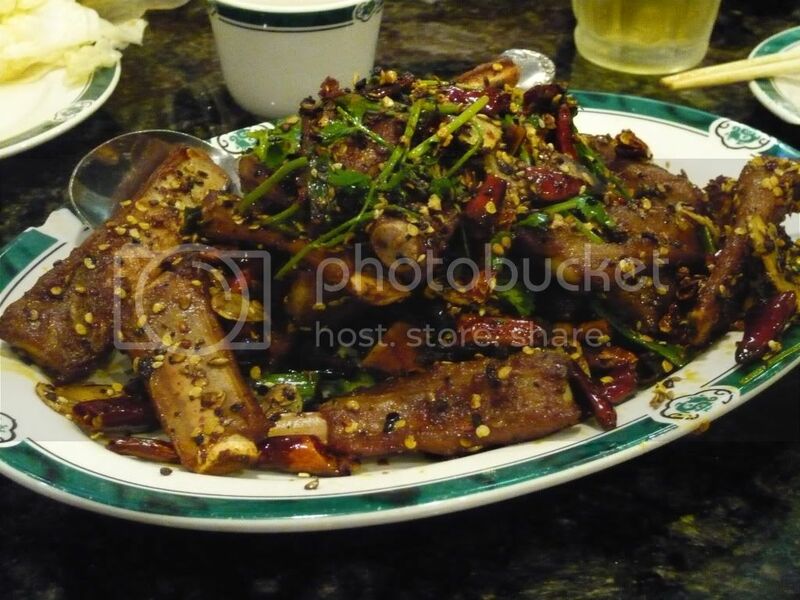 JTYH also offers a variety of non-noodle dishes. 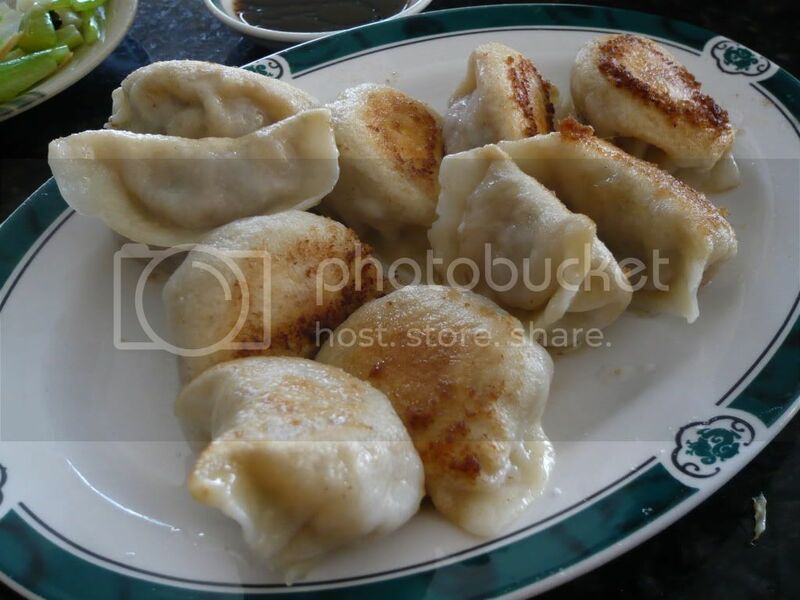 In this area you can find even better dumplings, but the ones here aren't bad at all. 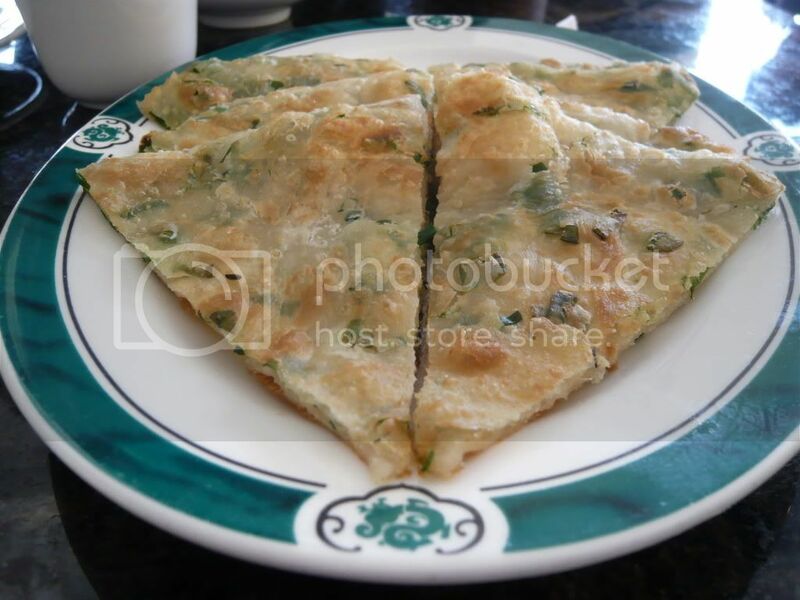 A pretty nice rendition that's not too greasy and has a nice crispiness. The beef roll is also quite good, with a crunchy roll and a generous flavors. 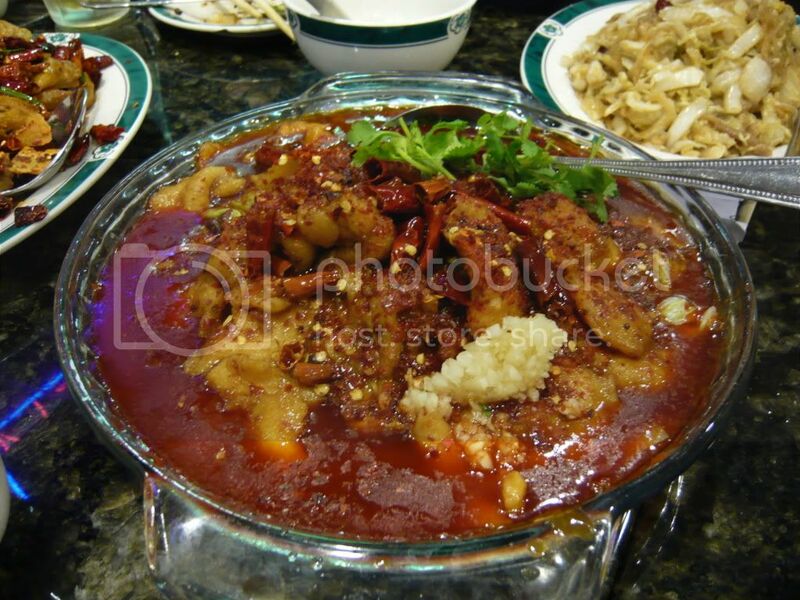 and fish filet doused in red hot chili sauce. For some of you these are probably not *that* hot, because I could eat them although I was dying. Bottom line: go for handmade knife-cut noodles, stay for the rest. 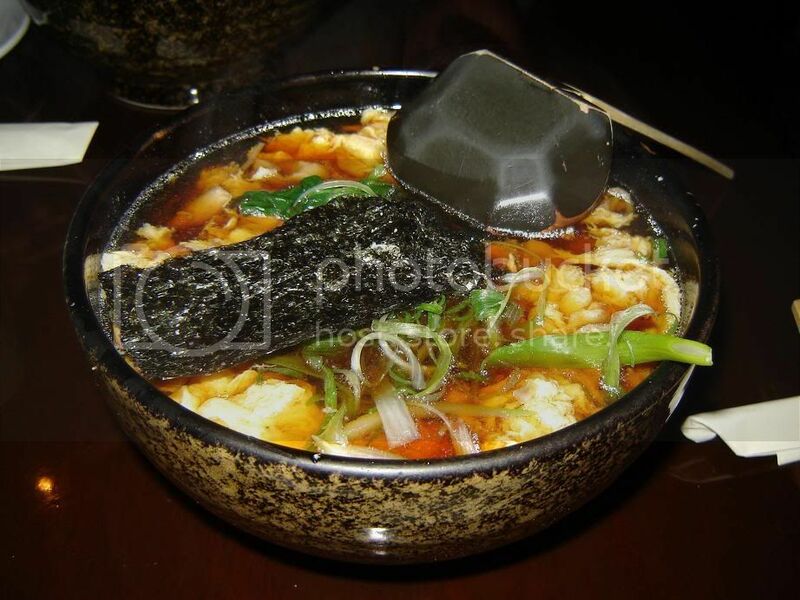 I've eaten at Ichimiann so much it's a wonder that I hadn't written about it sooner, but this cold winter weather is the perfect time to start it off as the inaugural post of my "Hot and Soupy" series of posts! Ichimiann is a place I found through Exile Kiss' blogpost, lauding it as the one amazing teuchi(handmade) soba place in town. I was on a crazy soba kick and wanted to venture further than Yabu. Ichimiann, aka Bamboo Garden, is a tiny shop on a dilapidated side street right next to Foster's Freeze and looks just like a typical noodle shop. Cash only, you can place your order and then take a seat at the bar by the wall. The rite of passage for all soba noobs is the Zaru Soba, so even though it doesn't meet the hot and soupy winter theme, it simply cannot be left unmentioned. 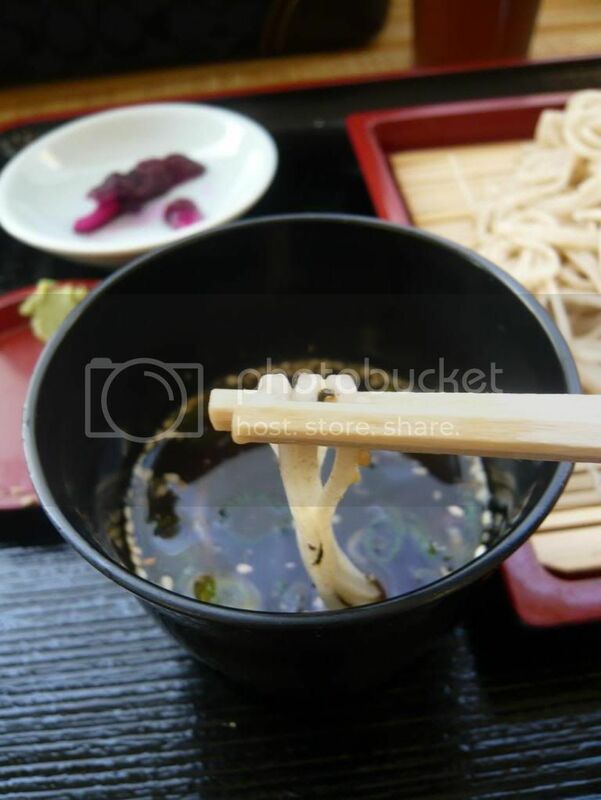 Zaru soba gets its name from the bamboo sieve that it is served on and is typically served with tsuyu (a mixture of dashi, sweetened soy sauce, and mirin), scallions, and wasabi. Mix the scallions and wasabi in the tsuyu, then pick up the buckwheat noodles and dip it in the tsuyu. 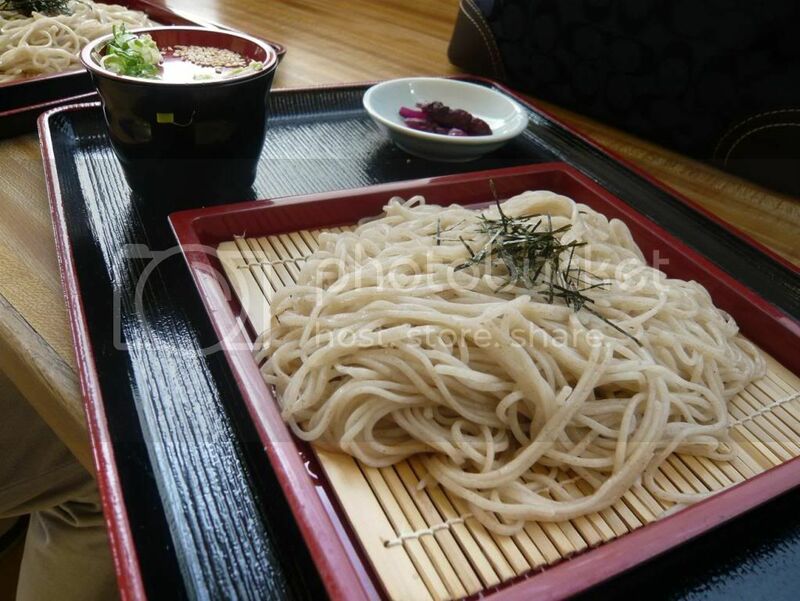 This is the dish that best highlights Ichimiann's excellent handmade soba, the wonderful texture and the flavor of the buckwheat noodle itself. The soba here is devoid of that doughy and powdery taste and texture that I always hated in mass produced noodles. 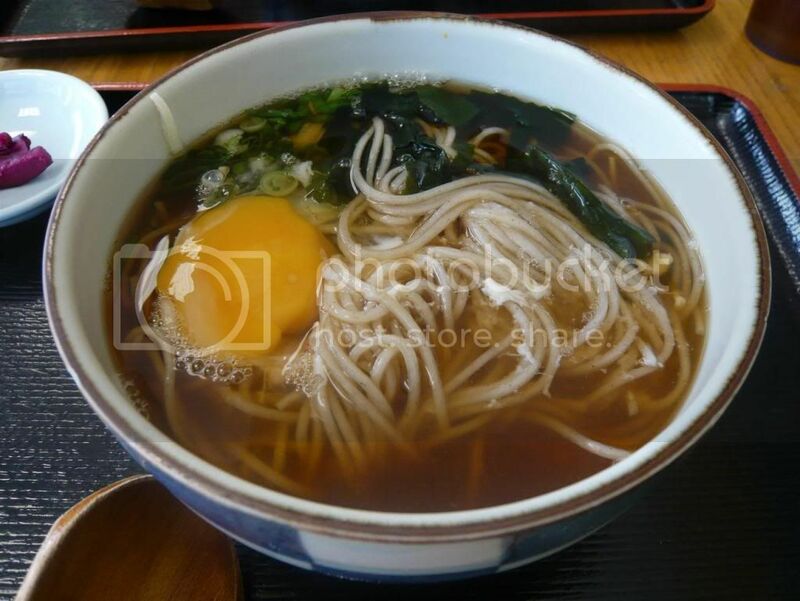 If you want hot soba, however, Ichimiann has plenty of options for you, from a simple bowl with poached egg to many more. The flavors of the broth are subtler here, unlike many places which tend to be salty, but it is ultimately more satisfying and worth savoring. 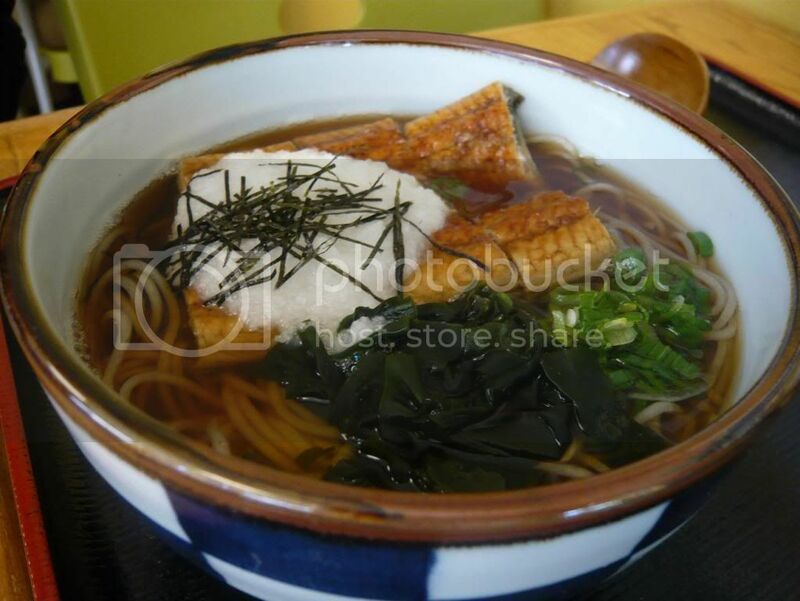 When you want your protein you could opt for the unagi soba topped with grated yam. Even though this dish made me realize I'm not big on japanese yam, the rest of the dish was excellent. The unagi is nicely grilled and lends a nice flavor although I did miss the crisp texture of the unagi before it's soaked in broth and yam. When Exile Kiss did a second post, this time on the udon noodles at Ichimiann, I had to go back and try that too (even if I'm still a soba girl). 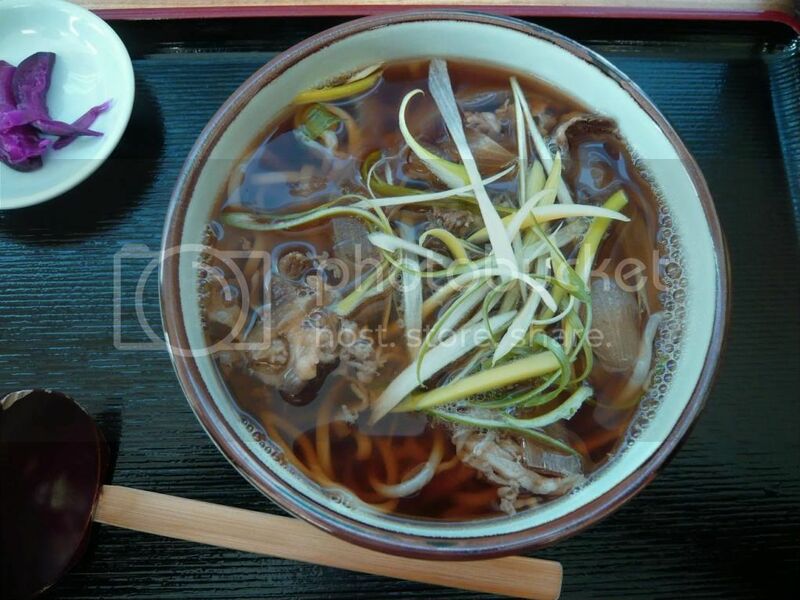 A bowl of beef sukiyaki udon seems like the perfect meal for a chilly Saturday morning (ok, afternoon). 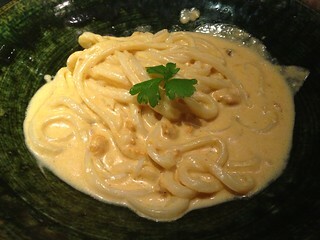 Ichimiann's udon is thin, unlike the type you normally see in stores and restaurants. The sukiyaki udon bowl is bolder in flavor than the other soba dishes that I've had and it really hits the spot. The udon, while thinner than usual, is wonderfully chewy without that doughy consistency. Ichimiann's subtle but deeply satisfying flavor doesn't leave you overwhelmed and dehydrated like some salty dishes might, but instead it just keeps you satiated all day long. My only gripe about yabu is that they don't have soba with beef or pork (I like my red meat). This time I ordered the Tori Toji Soba (chicken with eggs). The broth is soo tasty. This time around I didn't find much chicken though, bummer, but everything inside that bowl is so good (organic eggs, chicken, fish cake, green onions). I was mainly going for the eggs anyway. It would be good to have more meat/other things inside though, I think. Maybe tempura. 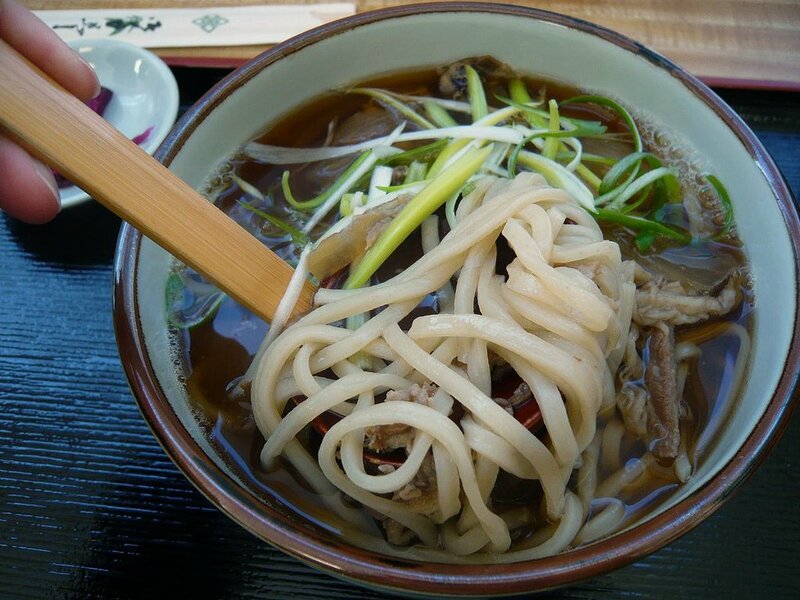 Their soba is handmade fresh daily (their claim to fame?) and was quite al-dente. 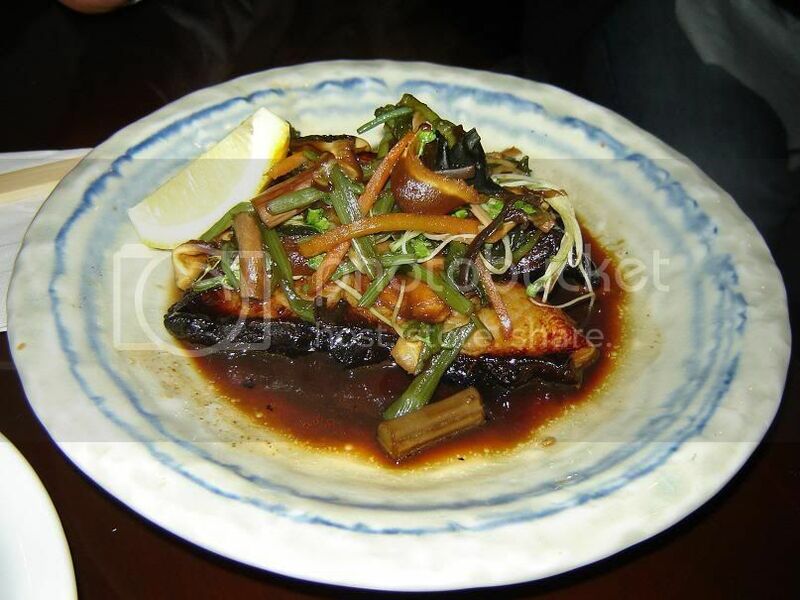 My friend got the broiled black cod, which was also good, but a bit salty. The veggies, especially the mushrooms, go really well with the cod , though. I found this place from reading Jonathan Gold's article about it, where he raves about the Bao there. But I'm surprised he neglected to mention the handmade noodles, which I think is better and more unique than the bao (hence their name, Noodle House!) - he did not seem to like them though. 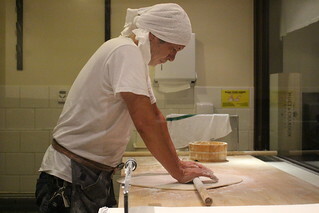 Their handmade noodle is made from scratch, and made from spinach. Although their simple menu does not say "handmade noodles" anywhere and you can't know what kind of noodles you will be getting from the names along, you can study the full picture menu on the wall. 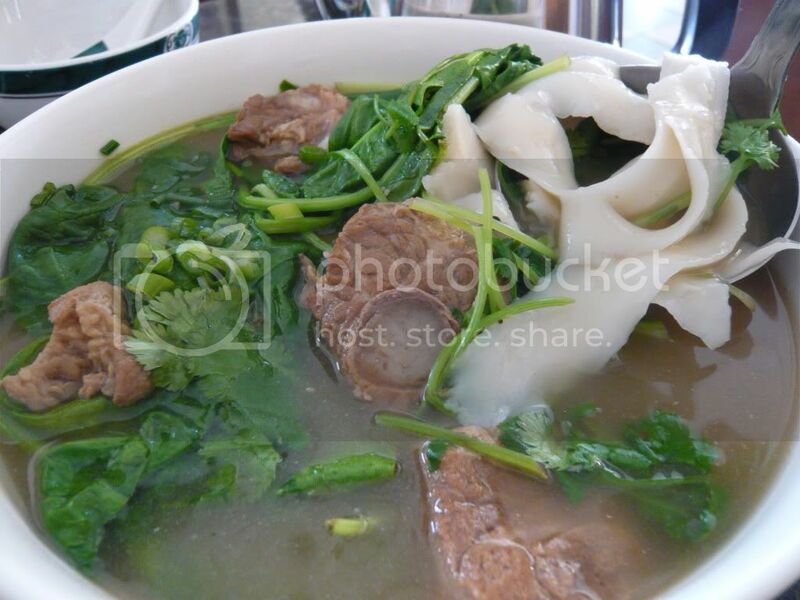 If the noodle is greenish, that's your handmade spinach noodle. 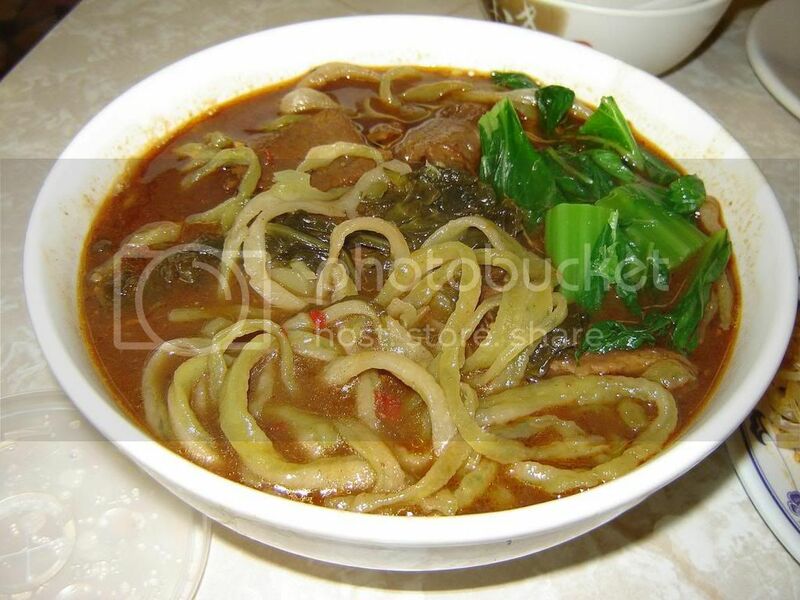 The dish pictured above is the "beef stewed noodle" (in Chinese, niu ru mien). 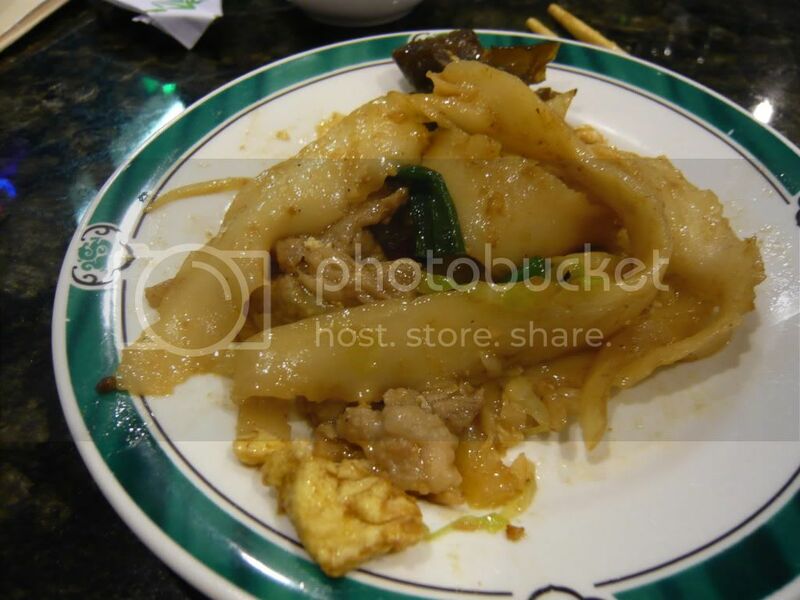 You can get niu ru mien at other places, but not with this kind of noodle! 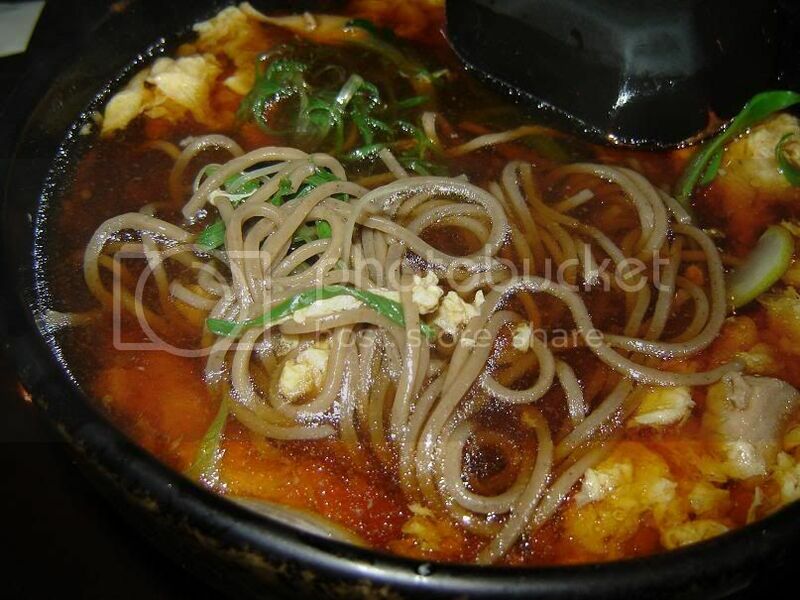 The noodle is chewy and has a distinctive flavor. It is firm and never overcooked. The broth is rather spicy and is a particularly good niu ru mien broth, but it is not too spicy (which may have led to Jonathan Gold complaining that it was "not as intense" as other shops). The mustard greens in the soup adds another layer of flavor. 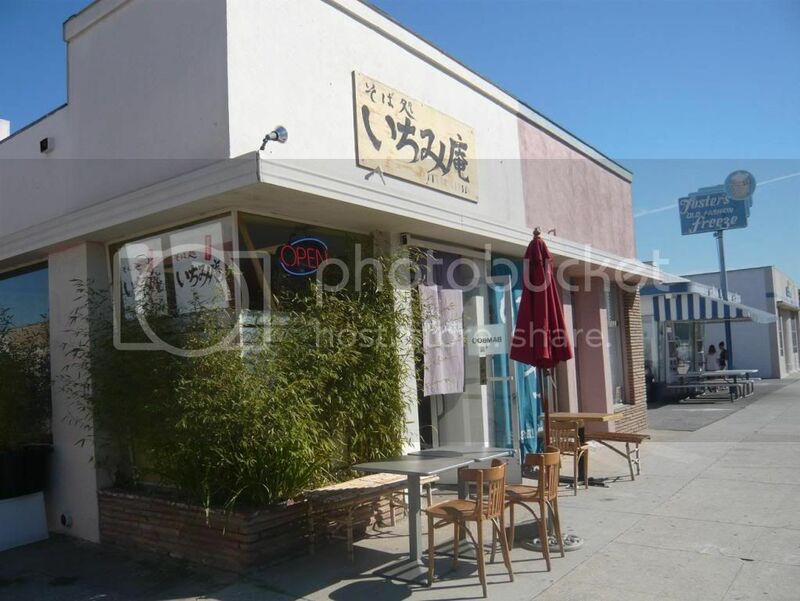 The place is small, with such a generic name: "Noodle House". The waitress speaks almost no English, even less than the cook, Linda, who speaks broken English. She is awesome and always seems very happy that you're there. She'll give you cold appetizers and sweet tea with dates for free.